SPARC Arts Education Teaching Opportunities - SPARCinLA We are SPARC: Art | Community | Education | Social Justice SPARC | Social & Public Art Resource Center | Creating Sites of Public Memory Since 1976 | Founded by Judy Baca, Donna Deitch & Christina Schlesinger | SPARC is a community cultural center that creates public art as a vehicle to promote civic dialogue, foster cross-cultural understanding, and address critical social issues. We accomplish our mission by producing, preserving and presenting community-based public art. SPARC is a facilitator Ð finding ways to tell richly textured stories that help community participants and artists achieve a measure of change and transformation. APPLY TODAY TO BE A TEACHING ARTIST! 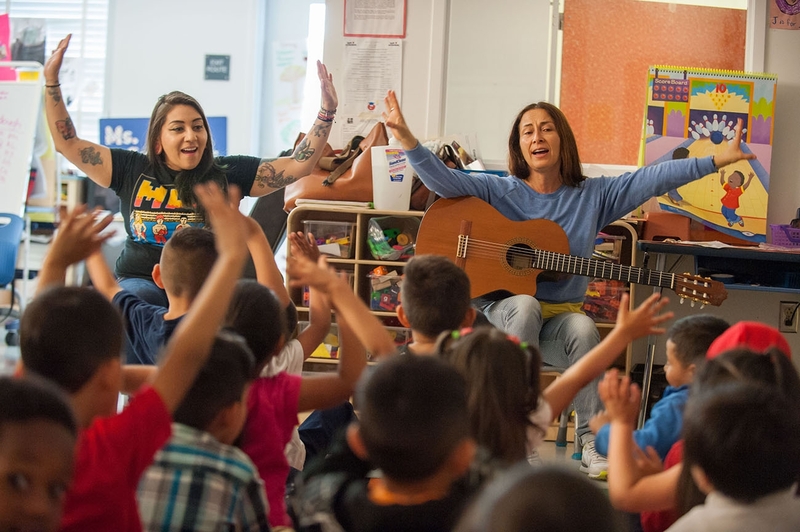 The Social and Public Art Resource Center (SPARC) is a cultural center that creates public art and arts programming as a vehicle to promote civic dialogue, foster cross-cultural understanding and address critical social issues. SPARC is seeking qualified Teaching Assistants to join our Arts Education team! Teaching Assistants will support 10-week visual and/or performing arts workshops for K-8th grade classrooms from October-December 2018. SPARC arts workshops take place on school campuses in Los Angeles. Job responsibilities include preparing materials for arts workshops, engaging students in the classroom, and supporting the end-of-semester culminating event where students share their work with their families. All applicants must be proficient in Spanish and English. Friday, September 28th, 2018 at 5:00 p.m.
For questions, email Davida Persaud, Arts Education Coordinator, at davida@sparcinla.org.